Size: approx. 35 mm. Photo: 12/29/15, 1 pm. 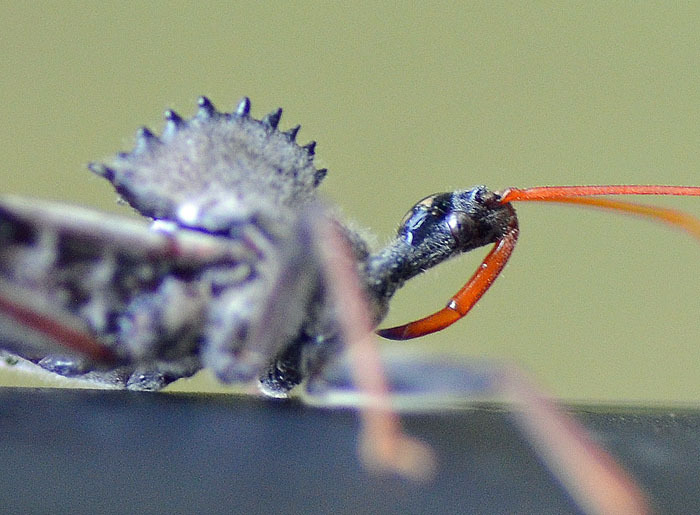 This large assassin bug features a wheel-like structure on its back. 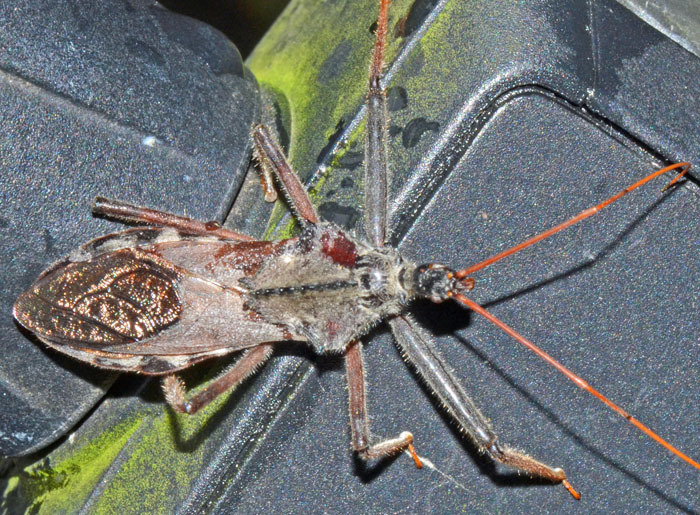 Wheel bugs have a reputation of being vicious and engage in cannibalism. Their bite has been described as worse than stings from bees, wasps, or hornets. They also have a pair of orange-red scent sacs that can give off a pungent scent. 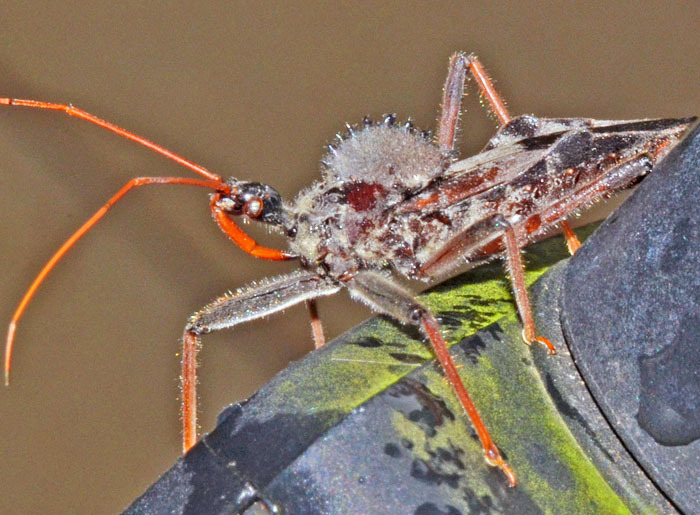 Despite these shortcomings, wheel bugs are highly beneficial as they prey on various pest insects.